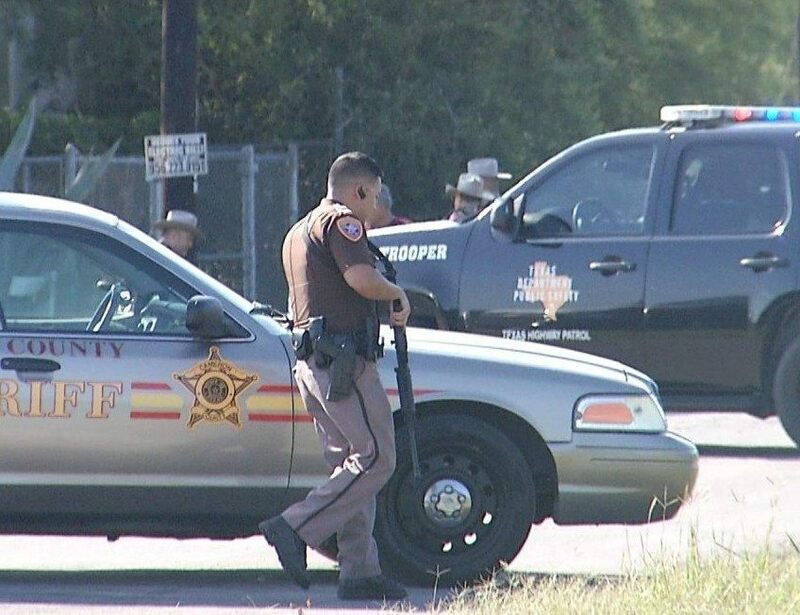 LA FERIA, Texas — A group of heavily-armed gunmen stormed a house and hogtied the people inside as they searched for large amounts cash in this border community. Shortly after 6 a.m. between six and seven men entered a residence in the rural area of this city. 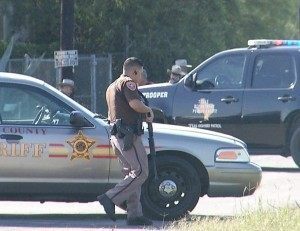 The assailants held the people inside at gunpoint and tied them up, Cameron County Sheriff Omar Lucio said to Breitbart Texas. A woman who was inside the house was not spotted by the gunmen. She managed to get out of the residence and call 911 telling them about the multiple armed individuals. According to Lucio his deputies responded to the house and were able to arrest two of the gunmen who had fled into nearby orchards and brush areas. At the scene authorities seized two vehicles that the suspects left behind; inside one of them authorities found body armor, a rifle and a handgun. “That means that those people were prepared for just absolutely anything,” a concerned Lucio said. 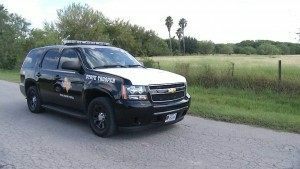 Sheriff’s deputies, Texas State Troopers, U.S. Border Patrol agents, La Feria Police and other agencies spent most of the day searching heavy brush areas during the manhunt. 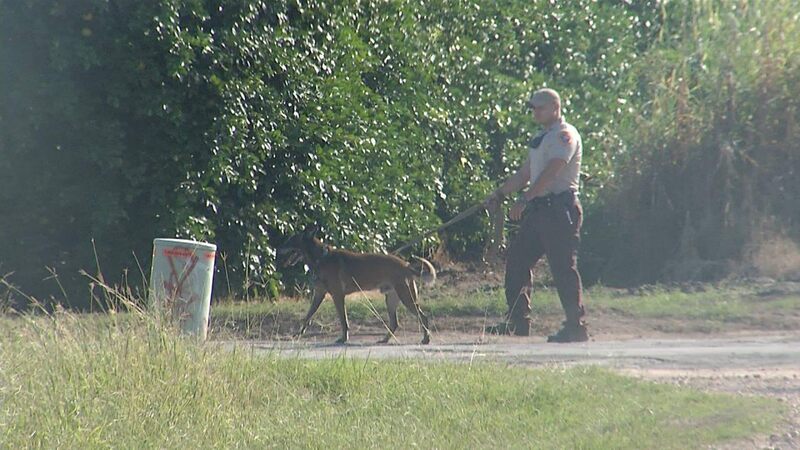 During the search authorities used police dogs to help the search for the missing gunmen. Multiple area schools in the rural areas near the manhunt were placed on lockdown as authorities continued their search. 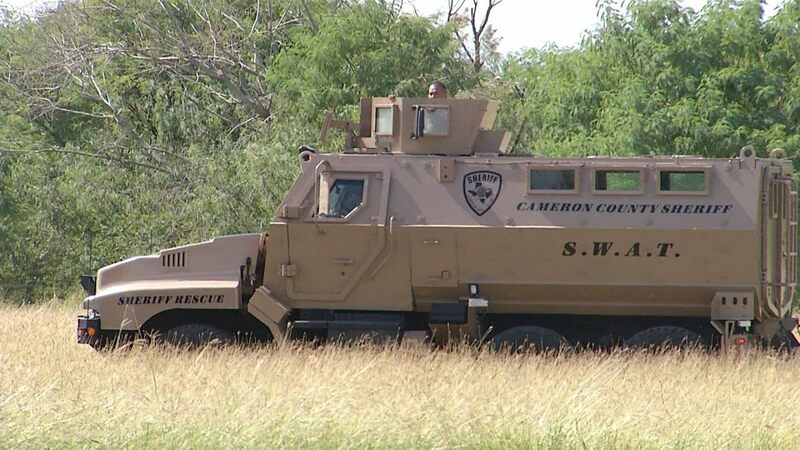 In the brush area authorities were able to find two more gunmen as well as more weapons, a face-mask and other tactical gear including more vests. The house that the gunmen had stormed doubled as an office where the residents prepared import export documents for Central American immigrants that are going to their home countries and taking with them multiple vehicles– known as “transmigrantes”. Breitbart Texas spoke with a federal law enforcement official who stated that much like with the businesses that buy and sell used cars, “transmigrante” offices also move large amounts of cash thus allowing some of those businesses to launder illicit proceeds typically form the drug trade. “Some of the time these individuals (victims) are involved in illicit activity, moving drugs, or may they lost a load and they (gunmen) want their money back or may be looking for revenge,” Lucio said exclusively to Breitbart Texas after a news conference. 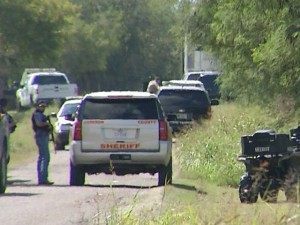 Home invasions in this particular area of the Texas border generally deal with multiple heavily armed men storming houses where they suspect drug smugglers hid drugs shipments or cash. The practice is seen more often in Hidalgo County than Cameron County. According to Lucio, the suspected gunmen are in fact residents of Hidalgo County that traveled to La Feria to carry out the robbery and this points to a growing trend in the area. 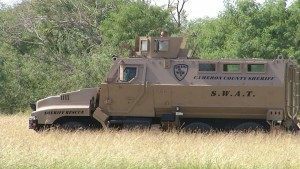 The home invasions tend to take place among the criminal element and at times are not reported to authorities, however as reported by Breitbart Texas in the past, there have been cases when the gunmen enter the wrong house and injure innocent civilians. 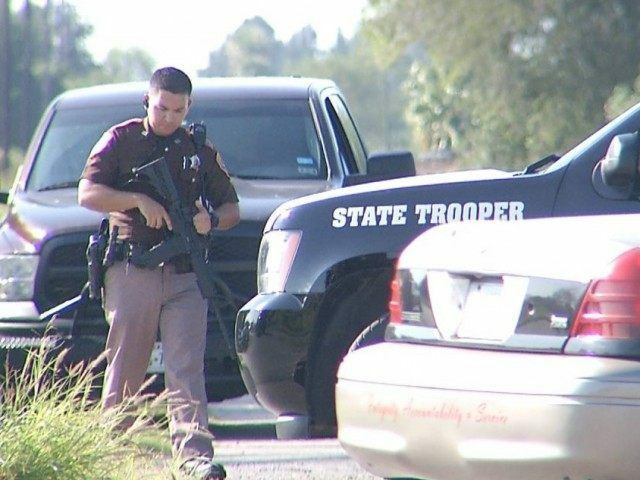 Just last May, 15 heavily armed members of a rip-crew stormed a house near the border city of Harlingen and ended up shooting a 33-year-old woman and her young child. The gunmen had raided the wrong house. Photos by Ildefonso Ortiz, an award winning journalist with Breitbart Texas you can follow him on Twitter and on Facebook.